Getzville weather is both unpredictable and intense. If you have a gut feeling there may be something wrong with your roof, then don't wait! We had a long winter and Getzville's roofing systems took the brunt of it. Stockmohr will help you diagnose potential issues and create a plan for the future. If you are looking for a top quality roofing contractor that can provide the best repair and maintenance for your Getzville home, there is no better contractor in the area than the professionals at Stockmohr. These contractors have been providing quality service to the Getzville area for over 35 years. We offer a wide range of roofing services at Stockmohr, all performed by experienced professionals that are incredibly familiar with Getzville homes and weather. This local experience means that our team understands the specific weather patterns in the area and can provide recommendations about repairs and maintenance that will resist damage. We offer this specialized knowledge and service because our goal is to satisfy our customers. Everyone knows the roof of their house is important, but it's easy to forget just how important until something goes wrong. Don't wait until there's a roof leak, torn shingles, or other costly damage to think about the condition of your roof. Even when there's no evidence of roofing problems, it's best to have your roof taken care of every year by an experienced roofing contractor. Whether you are looking to upgrade the look of your home with new roof installation, or replace missing or broken shingles, the expert team of roofers at Stockmohr can remove your old roof and replace it with a new one in no time at all. 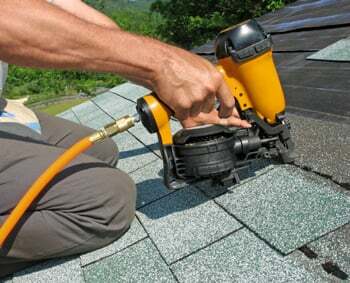 When replacing your roof, you need contractors that are fast and reliable. And that is exactly what you get from Stockmohr. We only install the highest-quality roofing materials to ensure long-lasting results. Our Getzville roofing contractors will set up an appointment to replace your roof in a timeframe that fits your schedule and has minimal impact on your daily life. Stockmohr Roofing can help you. Our roofing services are available in and around Getzville & the WNY area. For More Information, Contact Getzville's Leading Roofing Contractor Today!